There is an astonishing story out of Texas where the Dallas Police Chief David Brown quietly changed a rule that would require officers involved in a shooting to wait 72 hours before making a statement. There is no cognizable public interest behind such a rule, but it comes after a scandal where a surveillance video showed one of Brown’s officers shooting a mentally ill suspect for no apparent reason. The video contradicted the officer’s testimony and undermined the charge against the victim. Brown’s solution was not greater disciplining and monitoring of officers but to impose a delay to allow officers to craft their statements. What is incredible about this story is that the public interest demands the opposite of the rule. Police often rush to get statements at a scene when memories are fresh and evidence is readily available. Detectives often view the first 48 hours as key to investigations. It is important to note that such shootings involve investigations of other individuals beyond the officers. Yet, Brown has imposed a rule that would deny such information to investigators for 72 hours — after police can learn whether there are videotapes or witnesses that might contradict them. Brown insisted that “it is my belief that this decision will improve the investigation of our most critical incidents.” How? An officer can always amend a statement. Indeed, the police department can formally require a second interview after 72 hours to guarantee that any delayed memories have not arisen in the aftermath (and coverage) of a shooting. Instead, the new policy says that officers will be allowed to watch any available videos before giving their statements and that they must wait three days before making a statement. The rule seems to combat false police accounts but helping officers craft accounts to fit the evidence. Take the case of Officer Cardan Spencer . Spencer has been charged after he shot Bobby Bennett, 52, (shown right). Spencer claimed he fired because Bennett, who was outside his home, lunged at him with a knife. His partner Christopher Watson supported his account in his statement after the shooting. However, a videotape showed that Bennett had not lunged at the officers. Nevertheless, both said that he did and Bennett was charged with a felony, which was later dropped. After the videotape showed both officers had given false statements, Watson modified his statement. He appears to be the model for Brown’s new policy. While Brown insists that officers need time to reflect on such traumatic moments, it seems to be a policy designed to protect officers from being caught in a lie. Why not use the same rule for citizens and suspend all interviews of key players for three days? Notably, the Supreme Court recently ruled that silence can be used against a citizen at trial who does not answer questions of the police. So a citizen can have their silence used against them at court but the officer is not just allowed but required to remain silent after shooting a citizen. Watson has not been charged with his earlier false statement. Other officers will not be put into such a dilemma. Rather than give an contemporaneous account at the scene, they will now be able to craft their answers after confirming whether they can be contradicted. That should solve any further controversies. The only thing more astonishing than this transparent policy is that fact that Brown has not been immediately fired for suggesting it. Just more of the same Blue Privilege. With the exception of this, I must attest that police chief Brown has been good. “The truth shall set you free”, and we have not heard or seen it yet. We should be asking a Much more Over-riding Question! By What Authority Does a Police Chief of Anything Control or Change Policy? This Power does Not rest with a Police Chief!! ONLY City Directors in Coordination with The State Legislature and The Attorney General Possess this Power. regimental strength, should have a silver leaf or an eagle. my guess is he’d rather have shoulder boards with gold braid like a 19th century admiral, a third world dictator, or michael jackson. That photo of the Chief makes me cringe. He has four stars on his collar, same as the Chair of the Joint Chiefs of Staff. I have seen some chiefs of police wearing FIVE stars. Lessee, that makes them equal to Generals George Marshall, MacArthur, Eisenhower, Hap Arnold, and Omar Bradley? Only in their dreams. Don’t tell any of those egomaniacs there is actually an official rank of six stars or they will award themselves one. The six-star rank was created 177 years after his death, but George Washington was made “General of the Armies” retroactive to July 4, 1776. It smells like corruption. The TRUTH does not need to be thought about for 72 hours. On one hand you have a society so hopped up on social media, tmz and the likes that anything that you say can be around the world in the blink of an eye, creating an mess for all the people genuinely affected by such tragedies. I can also hear people talking about cover ups and a way to keep things hidden from the general public. This is a tough situation and one that I think will take a strong leader to implement and make it stick. 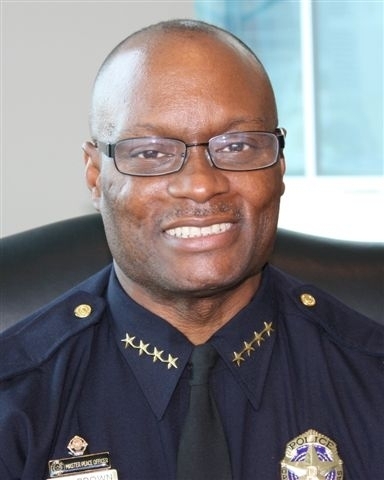 Now I don’t know all the facts about The Cops in the Dallas area but it’s obvious that the Dallas Police Chief David Brown believes that this move will be beneficial. He’s the man in charge and he is making changes that he believes is in the best interest of his police force and the people who he has to deal with. An issue like this will take some time to see how things go through and what the future outcomes are. Right now I would say it’s a tad bit early to be casting stones either way but I am sure there will be plenty of stone casting.